Do you love animals or just like getting a bit mucky? Get a taste of farm life with some hands on experience at Sacrewell. You might be fixing broken fencing or tidying the stable yard, feeding and mucking out the animals, or learning how we ensure the animals at Sacrewell get the best treatment. The very nature of farm life means that you really could be doing anything in your session, so please come prepared for all weather and wear suitable clothing. Sessions will be led by our Animal Manager Jess and her team and are suitable for children aged between 5 and 16. The slots last two hours and are available from 10am until 12pm, or 2pm until 4pm on certain days during the half term week. Reserve your session online for £10 a child, there are 8 places available per session! Children must be supervised by their parent or guardian during these sessions. 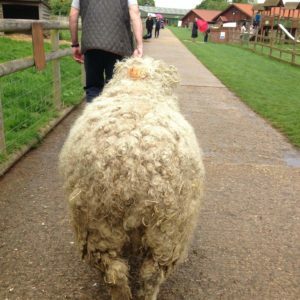 The farmers young apprentice ticket does not include admission into the farm.